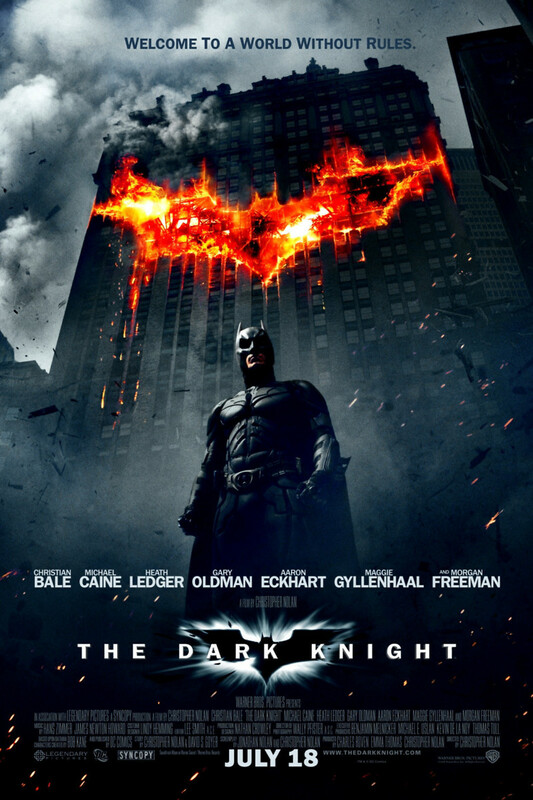 The Dark Knight is the second in Christopher Nolan's Batman trilogy. While the Joker robs and extorts the mob, Bruce Wayne becomes closer to Harvey Dent, Gotham's new district attorney. When the madman eventually kills the police commissioner, Dent steps forward as Batman to protect Wayne. The Joker then blows up two buildings, scarring Dent's face and killing his fiancee. He is now Two Face. He goes on a rampage to avenge Rachel's death while the Joker is still on a warpath. Batman tracks down and stops the Joker before finding Two Face holding the new commissioner's children hostage. He kills the hostage, and instructs the commissioner to frame him for the murder in order to leave Dent's image untarnished. He rides off a vigilante.